Binance Coin, or BNB, is an ERC20 token tied to Binance, a popular online cryptocurrency exchange. Just how popular is Binance? It leads the world in trading volume with $1.6 billion in 24-hour volume. Currently, BNB serves as a utility token that enables its owners to pay lower trading fees on Binance. But, Binance has bigger ambitions for the coin that will allow margin interest to be paid with BNB once margin trading launches. Looking further into the future, Binance also plans to build a blockchain specialized for decentralized exchanges with BNB presumably being a fuel for the platform. This means that BNB will be used to pay for transactions and exchanges on the blockchain, similar to how ether is used to pay for transactions on Ethereum. BNB is one of a few cryptocurrencies that is easy to appraise because its value is strongly correlated to the value of a cash-flow generating business, Binance, whereas most cryptocurrencies are either in the development phase or being trialed by other companies. As such, they are much more speculative. How exactly does one valuate BNB? You can simply look at Binance's current trading volume and historical growth rate. Binance is one of the world’s top exchanges and has experienced tremendous growth over the last few months. The team has demonstrated that they can execute, and execute well. It's no small feat to grow an exchange this fast and push aside incumbents like Bittrex and Poloniex. Demand for BNB is generated from three main sources: a desire for lower trading fees, speculation, and coin burns. Since Binance has a whopping $1.6 billion 24 hour trading volume, the demand for lower trading fees is significant. Binance also conducts a quarterly coin burn. A coin burn is an event where the issuer of a coin sends some of those coins to a public address whose private keys are unobtainable, so the coins can never be spent -- functionally destroying the coins. Coin burns usually result in an increase in price, since the supply shrinks while demand stays the same. This is especially true if the issuer is buying back coins in order to burn them, which is exactly what Binance is doing. We’ll will hold off on providing a model for valuating BNB since it’s beyond the scope of this article, but the main takeaway here is that investors have more visibility into the actual valuation of the coin since it’s directly tethered to an active business. In total, there have been 200 million BNB coins created. Initially, these coins were used as a fundraising vehicle for Binance. Although not officially considered investors in the exchange, early owners of BNB were holders of an asset with an appreciation rate proportional to the growth of the exchange. Binance promised to use 20% of their profits each quarter to buy back BNB until 100 million BNB coins were burned. In the first quarter, Binance bought back (and burned) 986,000 BNB and in the second quarter, it was 1,821,586 BNB coins. It's been almost 3 months since the second quarterly burn and the third burn is just around the corner. Binance began as a little known Chinese exchange. Its name is a portmanteau of the words "Binary" and "Finance".The first coins listed on the exchange were Bitcoin, Ethereum, NEO, QTUM, and BNB. Through an aggressive marketing campaign, the implementation of a seemingly lucrative referral system, low fees (0.10% trading fee vs 0.25% for Bittrex and Poloniex), a high performance trading engine (Binance claims that its trading engine can support up to 1,400,000 orders/s), and a very liberal coin listing policy, Binance grew quickly. Today, the exchange has 300 active trading pairs with $1.6 billion in volume and 6 million users. Today, Binance is a crypto-to-crypto exchange. It avoids dealing with fiat currencies in order to avoid regulations that come with being a fiat custodian. However, in light of its recent relocation to Malta and subsequent access to the Maltese banking system, Binance has announced plans to introduce USD trading. Who is Changpeng "CZ" Zhao? Binance founder Changpeng "CZ" Zhao has a unique past. Both of his parents were educators in China who were labelled "pro-bourgeois intellect". The family was temporarily exiled shortly after CZ was born and emigrated to Vancouver, Canada, in the late 1980s. As a teenager from a lower class family, CZ worked at McDonald's and took on overnight shifts in gas stations to help make ends meet. CZ went on to study Computer Science at McGill University. After graduating, he moved to Japan where his first job required him to build order matching software for the Tokyo Stock Exchange. Shortly thereafter, he built software for futures trading at Bloomberg's Tradebook. He was promoted three times in less than two years in his stint with Tradebook. CZ’s deep entrepreneurial drive led him to quit his job in 2005 and move to Shanghai to start his own company. He learned about Bitcoin in 2013 and began bouncing around early cryptocurrency projects that turned into highly lucrative ventures, including Blockchain.info and OKCoin. Always an entrepreneur, CZ started Binance in 2017 with an ICO to the tune of $15 million. CZ is a prominent figure on social media and often uses Twitter to handle large scale PR events. For example, when Binance went down for almost two days in early February, CZ made it a point to continually tweet updates on the exchange’s condition, deftly managing the crisis with 280 characters or less. It’s clear that CZ is a highly capable businessman who runs a tight ship. However, as skilled as the Binance executive team is, the exchange is hounded by a few significant risks. What are Binance’s biggest risks? Today, the most significant risk for Binance is regulation. The exchange is currently in regulatory limbo with a high possibility that countries like the United States, South Korea, and Japan will ban their citizens from trading on the platform. On what grounds? There are many ways regulatory agencies could justify a banning. For example, Binance could be considered an unregulated platform for trading securities. Or, a law could be passed that considers the custody of cryptocurrencies the same as the custody of fiat currencies. Alternatively, trading on Binance could be considered gambling. The first signs of these risks appeared earlier this year when Japan's Financial Services Agency (FSA) issued a warning to Binance requesting the exchange to stop operating in Japan until they were registered with the regulator. With the recent, massive hack of the Japanese exchange, CoinCheck, the FSA is looking to impose stricter capital controls on cryptocurrency exchanges operating in the country. With Chinese cryptocurrency regulation still ambiguous regarding Hong Kong, where Binance is headquartered, CZ decided to move the company to the much more cryptocurrency-friendly country, Malta. In the US, the SEC has also ramped up cryptocurrency regulation. The agency declared almost all ICO tokens securities earlier this year. Binance, with their 300 active markets, also trades many ICO tokens. 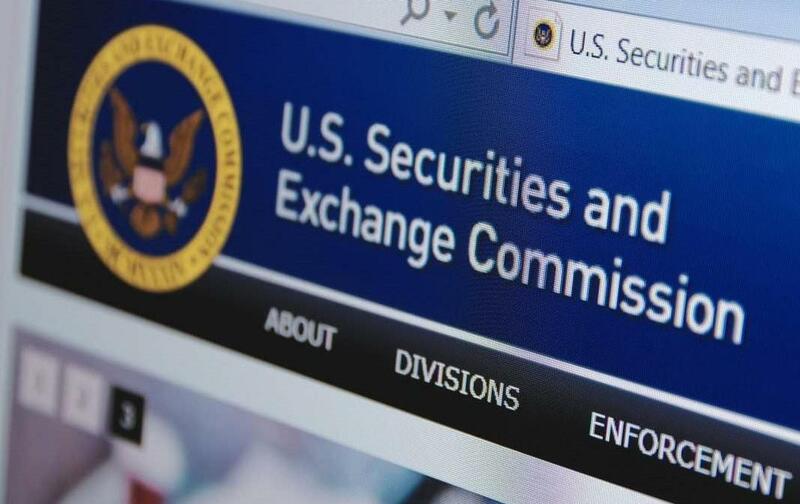 In addition to declaring ICO tokens securities, the SEC has also started to arrest ICO founders for fraudulent activities. For example, the team behind Centra coin, which was traded on Binance and delisted shortly thereafter. On March 7th, 2018, the SEC released a statement titled, "Statement on Potentially Unlawful Online Platforms for Trading Digital Assets". In this statement, they warned against "online trading platforms" that traded "tokens offered... in so-called Initial Coin Offerings" that met the definition of a ""security" under federal securities laws". In light of these events, it seems likely that the SEC will eventually go head-to-head with Binance. This is may be one reason that Binance is keen on launching a decentralized exchange. The second reason? To mitigate hacks. Binance is a centralized cryptocurrency exchange. Centralized exchanges are vulnerable to hacks. Over the past few years, many cryptocurrency exchanges have been hacked with billions of dollars stolen. Binance was among them, though no funds were lost. What happened exactly? The hack took place in early March 2018 when hackers phished API keys from a small set of users. The hackers then assumed large positions in a low volume coin and placed sell orders at obscene prices. They then used the compromised accounts to buy the coin up until its price rose to fill the sell orders. Fortunately, Binance was able to catch the abnormal behaviour quickly and stopped all withdrawals from the exchange. All illegal trades were eventually reversed. To be fair, though this was not an actual hack of the exchange, it still demonstrated how bad actors were able to exploit the centralized nature of the exchange to attempt to steal funds. If Binance did not intervene in time, the attackers would have succeeded. Rather, the lack of one. Binance has ambitious plans for BNB that go far beyond a utility token used for lower trading fees. As mentioned earlier, they plan to build a decentralized exchange on a completely new blockchain with BNB as a native asset, most likely acting as a fuel. Depending on the adoption of this platform, this could tremendously increase the demand for BNB. Moreover, this will reduce inherent risks stemming from the regulatory climate since it's tough to shut down a decentralized exchange. That said, there are challenges to implementing a successful decentralized exchange (DEX) including challenges that are technical in nature (high performance, great UI/UX, sufficiently decentralized) as well as adoption challenges (competition from many, many existing decentralized exchanges). There are plenty of decentralized exchanges that exist today and Binance is considered “late” to the race. In fact, they recently announced that they still lack a technical plan and have instead decided to crowdsource the technology by holding a "Dexathon" competition. Participants are expected to submit technical proposals and the prize is $1 million coupled with a job at Binance. Since it’s hitched to one of the top cryptocurrency exchange in the world, BNB is one of the strongest cryptocurrencies out there. However, there are also many risks with holding the coin. The most significant of which is the fact that Binance has many regulatory agencies eyeing the exchange. BNB is inherently tied to the success of Binance as a business, and the business will could be shut down entirely if there is a regulatory crackdown. The solution to this is to either comply with tough regulations which isn’t easy, or to build a decentralized exchange. Binance has expressed no interest in the former and have publicly stated they are looking to build the latter. However, they are far from realizing one. Nevertheless, there is much to be said for being the native asset of the top cryptocurrency exchange in the world and the markets have so far reflected that -- BNB has been one of the strongest performers over the past month in the midst of this bear market.